This is really happening: Ali Wong and Randall Park's rom-com begins production. With Keanu. Whoa. That Ali Wong/Randall Park romantic comedy, once just a hypothetical dream flick sprinkled with social media-fueled fairy dust, is a real thing. 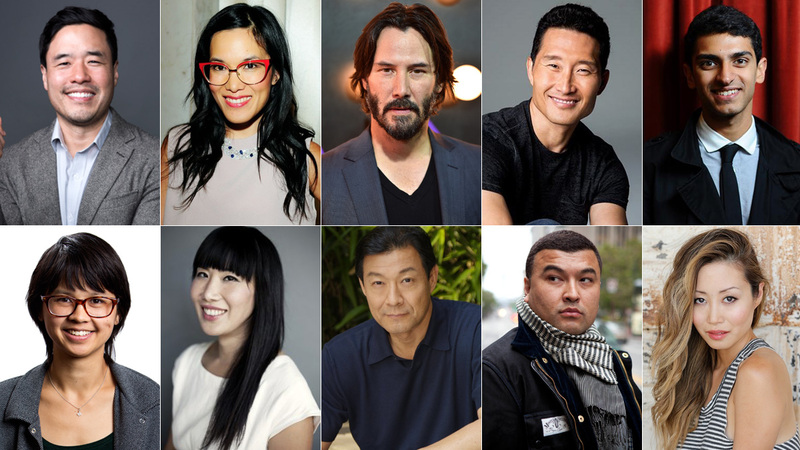 The Netflix feature film has begun production, has a title -- Always Be My Maybe -- and has assembled a crazy amazing cast that includes Daniel Dae Kim and Keanu Reeves. Whoa. As if we weren't already losing our minds over this project, it's now officially our most anticipated movie of 2019. Wong and Park star as childhood sweethearts, Sasha and Marcus, who have a falling out and don't speak for 15 years. They reconnect as adults when Sasha, now a celebrity chef opening a restaurant in San Francisco, runs into Marcus, a happily struggling musician still living at home working for his dad. They discover the old sparks are still there, but can they adapt to each other's world? The film began shooting this week in Vancouver. No word on who Reeves and Kim will be playing, but it'll be fun to see them flexing some comedy muscles. (Honestly, I would kind of love to see Keanu Reeves play a weird version of himself.) The film's cast also includes Michelle Buteau, Vivian Bang, Karan Soni, Charlyne Yi, James Saito, Lyrics Born, and Susan Park. The script, previously described by Wong as "our version of When Harry Met Sally," is written by Wong, Park and Michael Golamco. Nahnatchka Khan, executive producer and creator of ABC's Fresh Off the Boat, is directing the feature. Can I just say this movie is Asian American as hell? Meanwhile, you can see Randall Park this summer as Agent Jimmy Woo in Marvel's Ant-Man and the Wasp. Ali Wong recently dropped a brilliant Netflix standup special, Hard Knock Wife. Always Be My Maybe is set for release in 2019 on Netflix. We can't wait.